HIIT and Happy Hour Next Tuesday! 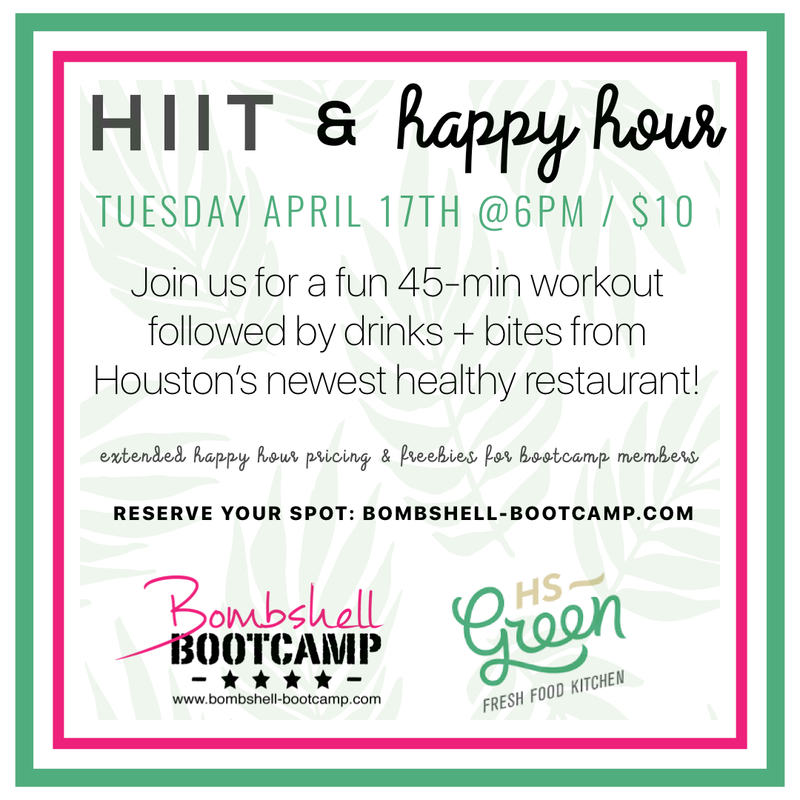 Join us next week on Tuesday April 17th for a fun HIIT workout + Happy Hour after at the new HS Green! 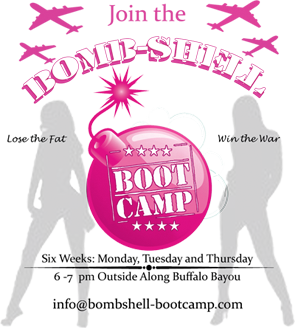 The event is FREE for current Bombshell Bootcamp members (monthly and punch card holders) and will be $10 for the public. Guys are welcome to join too! 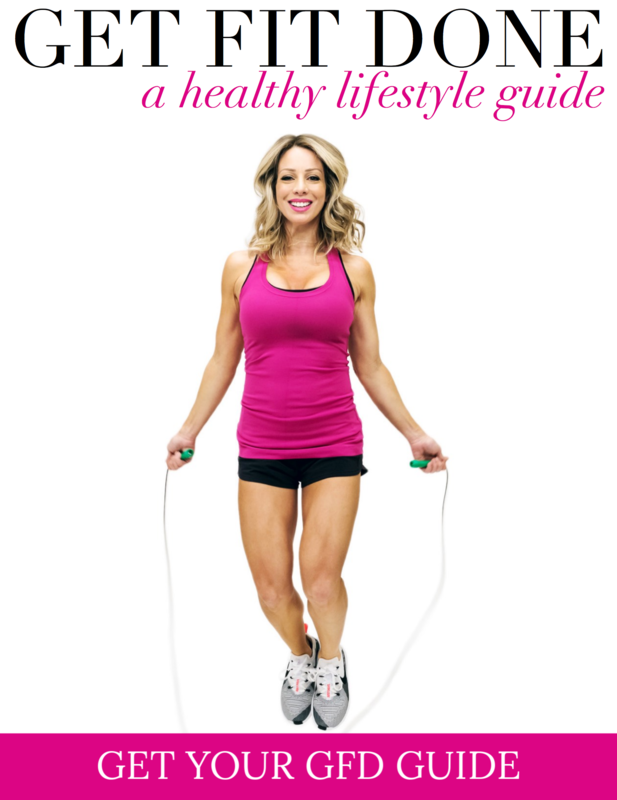 The workout will be for all-levels and you do not need to bring any equipment! Meet out front of HS Green at 6pm for the workout. We will either do the workout in the parking lot or jog over to the Gerald Hines Waterwall (near the Galleria) that is a couple of blocks away. We will be back inside HS Green for the happy hour around 6:45pm. All attendants will get their first drink FREE plus get to sample complimentary appetizers! After that, HS Green will be extending special happy hour pricing ($3 beer $5 wine) to 9pm! *Please sign up ahead of time HERE. You can wait and pay in person (cash, check or cc) if you prefer. ← New Spring/Summer Schedule + Saturdays!